Hundreds of UK businesses still need to submit their gender pay figures ahead of Wednesday’s midnight deadline. Some 8,330 companies had already done so as of 16:00 BST on Tuesday. BBC research found 850 had only published data on that day. About 9,000 firms with more than 250 staff must state the average difference between male and female employees. Of those that have already published data, 78% pay men more than women, while 13% pay women more. Just 8% said they had no gender pay gap at all, based on the median measure. Writing in the Daily Telegraph, Prime Minister Theresa May said the disclosures would make for “uncomfortable reading” but said it was vital the “burning injustice” was tackled. What happens to companies that don’t publish? One of the biggest names among the worst offenders so far is Ryanair, which reported a 71.8% gender pay gap. Meanwhile, high street brands KFC, Matalan, Starbucks, Costa, McDonald’s and Primark reported no difference in what they paid their female and male staff. Want to find out the gender pay gap at your company? Try the calculator below. How big is the pay gap at…? If you can’t see the calculator, click here. In terms of bonus gaps, several NHS trusts have some of the highest figures with Hull And East Yorkshire Hospitals NHS Trust General Purposes Charity revealing a figure of 99.4%. Some have criticised the exercise, which also applies to charities and public sector bodies, as a crude mechanism open to misinterpretation. However, gender equality campaigning charity the Fawcett Society says it represents an opportunity for employees to talk about pay and find out what their colleagues earn. Sam Smethers, the society’s chief executive, said gender pay gap reporting is a game changer in terms of workplace culture and practices. “Finally women are realising that they have a right to talk about pay and they cannot be silenced,” he said. CBI director-general Carolyn Fairbairn said gender pay gap reporting was a chance for companies for businesses to bring about change. Ms Fairbairn said knowing the average pay difference between men and women would help companies develop more inclusive workplaces and support more women into senior roles. Want to learn more about the gender gap? Try asking our bot below. Research conducted by Business in the Community found 92% of female respondents would use gender pay gap data to choose between two potential employers. It also found more than than half of women would favour the company with the smallest pay gap or the one that is doing to most to close it. 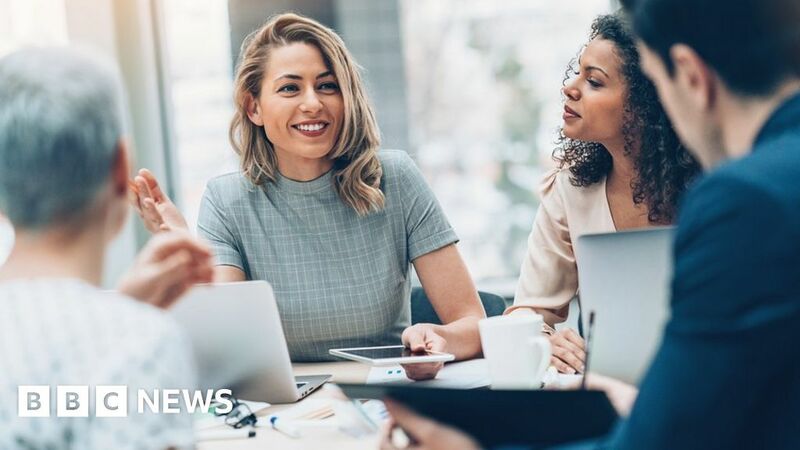 Chloe Chambraud, gender equality director at Business in the Community, said bosses must understand the factors driving their pay gaps and the groups of women who are most affected. “Employers must address the root causes of inequality, from reducing bias and increasing transparency in recruitment, appraisal and promotion processes to normalising flexible working, for men and women, and offer financially viable parental leave packages,” she said.